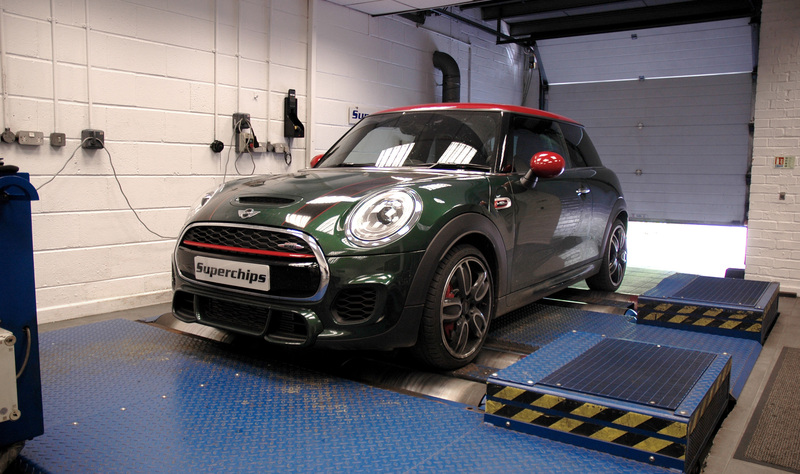 The global leader in ECU remapping, Superchips, has launched a two-stage conversion for the turbocharged petrol, 1.5-litre version of the Mini Cooper. The first stage is a traditional remap, which Superchips has led the field for decades. Stage 1 adds almost 30% more power and torque, with gains of 43bhp at 5504rpm and 62Nm of torque at 4018rpm. Not only does the conversion increase the output, it also smoothes the torque curve and extends it, improving both performance and driveability. 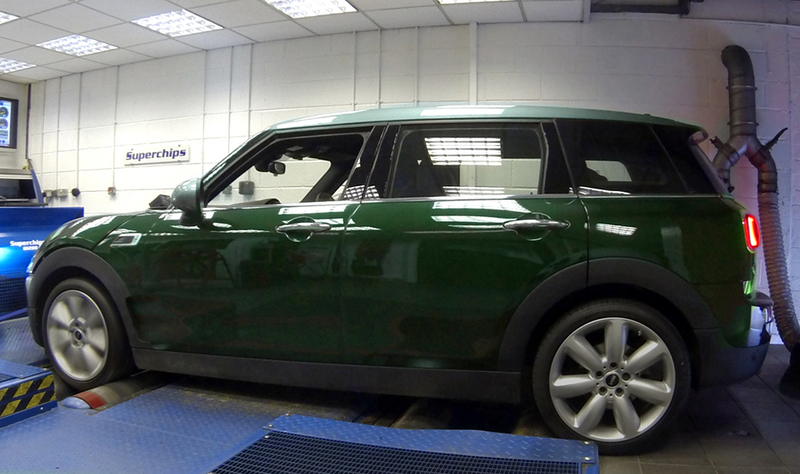 For drivers who want more from the diminutive Mini, Stage 2 can be specified for cars that have been fitted with a performance panel air filter, downpipe and a sports catalyst (or the catalyst removed for motorsport use). The Stage 2 remap will help to give increases of 55bhp at 5504rpm over the standard engine and 86Nm, again above the factory engine. In addition to the extra power and torque, the Stage 2 software will also address the ‘Check Engine’ light which could result from adding a sports catalyst or removing it altogether and will remove the speed limit for motorsport use. Also for motorsport use, on manual cars, the rev limit can be increased as well. Either conversion is carried out by one of Superchips’ nationwide dealer network and typically takes around an hour. Customers can either wait at the dealer or drop off their car and return later to collect. The cost of the Stage 1 remap is £399 including VAT and labour while the cost of Stage 2 is a further £50, including VAT and labour or £449 if applied to a standard car. Both conversions are covered by Superchips’ 12-month/30,000-mile warranty*. 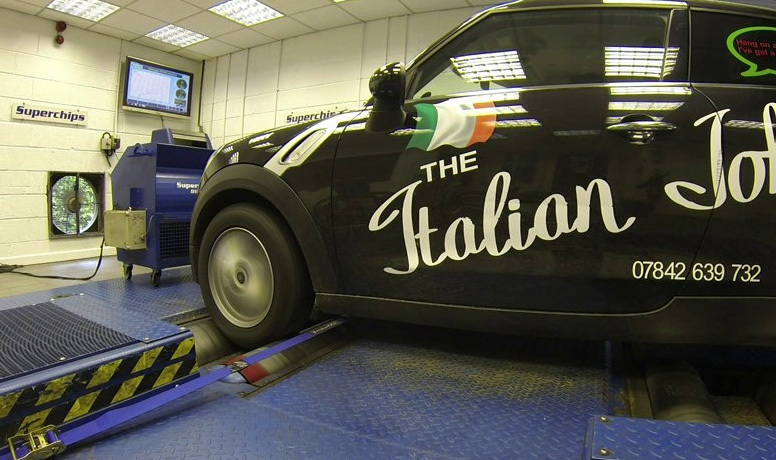 Hot off the back of the release of a remap for the normally-aspirated Cooper version of the Mini Paceman, global ECU remap leaders Superchips has released a conversion for 2.0 SD turbodiesel engine’d variants. 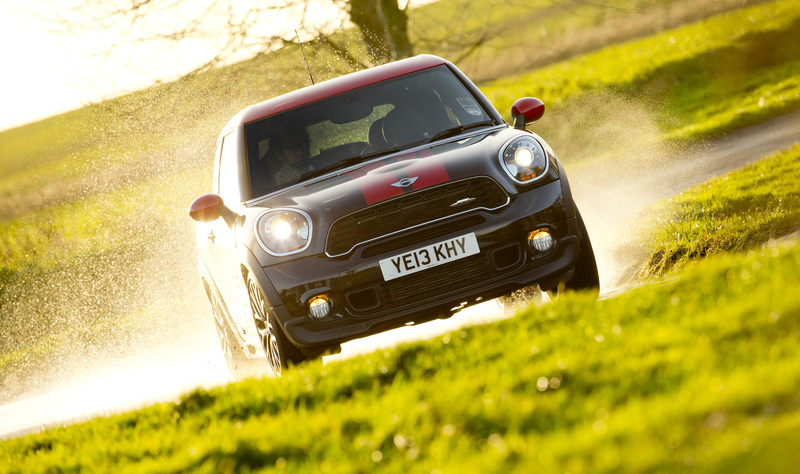 Used in a wide range of models, including the Cooper versions of the Countryman, Coupe, Cabriolet, Roadster and Paceman as well as the Cooper itself, the engine produces 143PS from the factory. However, the Superchips remap adds 29bhp at 3766rpm and a healthy 54Nm of torque at the same point. The combination gives the Mini not only additional performance for safer overtaking and improved response for more rewarding driving, it also makes for more relaxed cruising. As with most Superchips conversion, an additional benefit is that, when compared with a similar driving style, owners can expect to see improvements in fuel consumption of up to 7% with the remap fitted. Global ECU remap leader Superchips has released its latest conversion, for the MINI Paceman Cooper 1.6. Using the 1.6-litre normally-aspirated engine with Bosch MED17 management, the conversion provides additional performance for the MINI crossover, which combines off-road styling with on-road performance. The original non-turbocharged 1.6-litre engine produces 122PS from the factory and the Superchips remap adds 9bhp at 5944rpm and a useful 14Nm torque at 2297rpm, helping to improve driveability in all conditions. The conversion is carried out by one of Superchips nationwide dealer network and typically takes around three hours. Customers can either wait at the dealer or drop off their car and return later to collect. The cost of the MINI Paceman Cooper remap is £299 including VAT and labour. The conversion is covered by Superchips’ 12-month/30,000-mile warranty*.